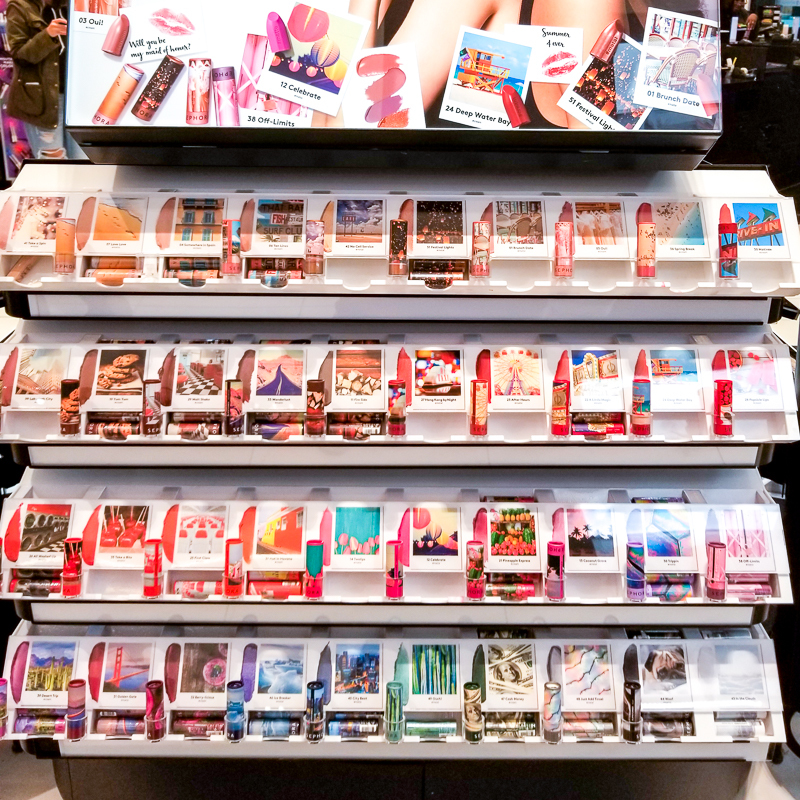 The Sephora #Lipstories lipstick collection launched a while back, but I hadn't paid much attention to it until I saw this display at my local Sephora. It looked so cheerful with all the instagram-style photos, I had to check it out. Turns out, the $8 lipsticks displayed are just as awesome! Available in 40 shades, and in finishes ranging from matte to cream and some shimmery metallic shades, it's impossible not to find a shade - or a dozen - to love. Scroll on for more photos and swatches.